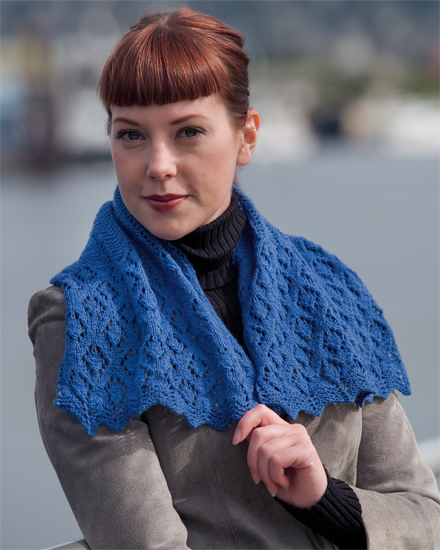 The wait is finally over for new lace designs from popular author Carol Rasmussen Noble! Now she's joined by renowned Shetland Island lace expert Margaret Leask Peterson, and together they make lace knitting pure joy. This collection is worked exclusively in lace-weight and fine yarns in a palette that includes gorgeous jewel tones as well as neutrals. 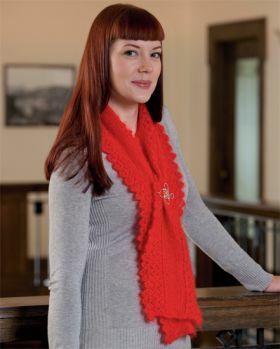 Knitters will find a variety of projects, including shawls, stoles, scarves, and triangles. Along with the patterns for 16 projects, the authors share a wealth of lace-making knowledge and techniques gained over decades of plying their needles. Knits from the North Sea offers lovely lace projects from designer Carol Rasmussen Noble and Shetland island lace expert Margaret Leask Peterson, packing in patterns, color photos, and knitter's tips that include fusing different knits together and using historical stitch patterns. 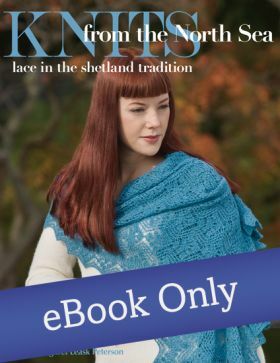 Any library catering to knitters seeking something different will find Knits from the North Sea an exceptional presentation of delicate, lacy projects. The winter months are the perfect time to knit. When I first came across Knits from the North Sea I was transfixed by the ethereal lace work. It is a breathtaking compilation of knitted shawls, stoles and scarves and I couldn't stop looking at it. As an intermediate knitter, the instructions themselves were clear and doable. This book will be in my library for years to come. I highly recommend it. It is the perfect gift for knitters even if they have never tried lace knitting before. Carol Rasmussen Noble was a gifted knitwear designer who wrote knitting books on subjects ranging from Fair Isle mittens to Orenburg shawls. Margaret Peterson is a lace expert from the Shetland Islands, who is well known for the quality of her lace and designs.